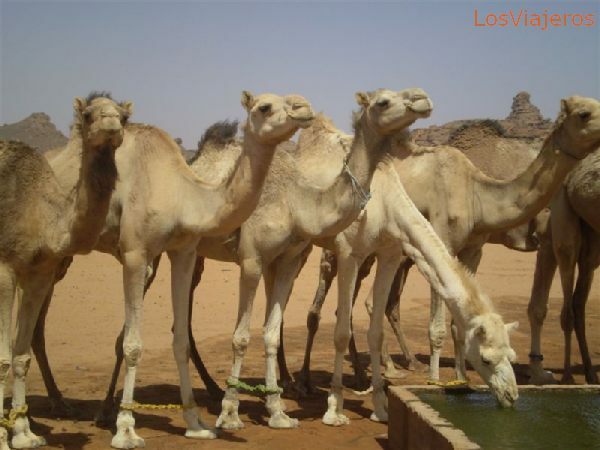 Camels, for adventure tourist - Libya: The second day traveling, near Gahadames, we saw free camels, but it was impossible to get near them. In this Akakus area, surviving is much more difficult, even for camels. Akakus, vendedor de artesanía Tuareg Akakus, man selling Touareg handicrafts "Index"